Bear with me while I slowly explore the Cafe Court of Emporium, and omg, anyone else pumped about the opening of Din Tai Feng later this year?! Anyway, back to today’s post. I decided to go with an old favourite, Jimmy Grants. It’s the only restaurant of the all-so-famous George Calombaris enterprise I’ve visited, but ever since I tried out Jimmy Grants in Fitzroy early last year, I’ve added Hellenic Republic and the newly established Gazi onto my never-ending wish list. The souvas are definitely on the smaller side of things, but they’re still pretty darn filling. I love the mustard aioli, it’s a saviour for the lamb, which was a bit dry. The pita bread is as soft and pillowy as ever, and the parsley added a hint of freshness to the otherwise rich souvlaki. A lot of my friends claim this to be the best chips ever, I don’t about it being the best, but it certainly is in the top three. Get a chip, dip it in some of that feta, and you’ll be in heaven. I’ve been lucky enough that each time I’ve ordered these chips, they’ve been freshly fried, and I hope it stays that way, because otherwise it just won’t be the same! 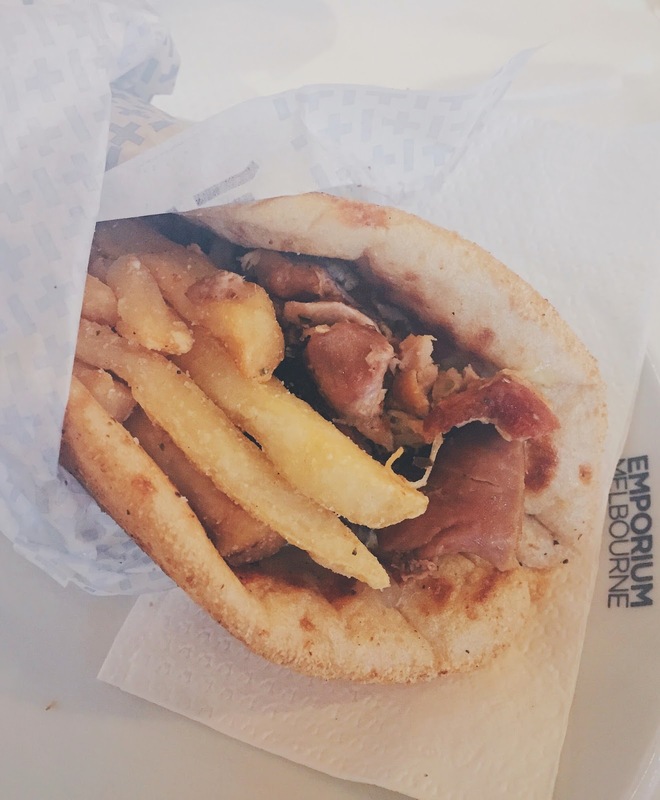 Is this the best souvlaki place around town? Possibly. 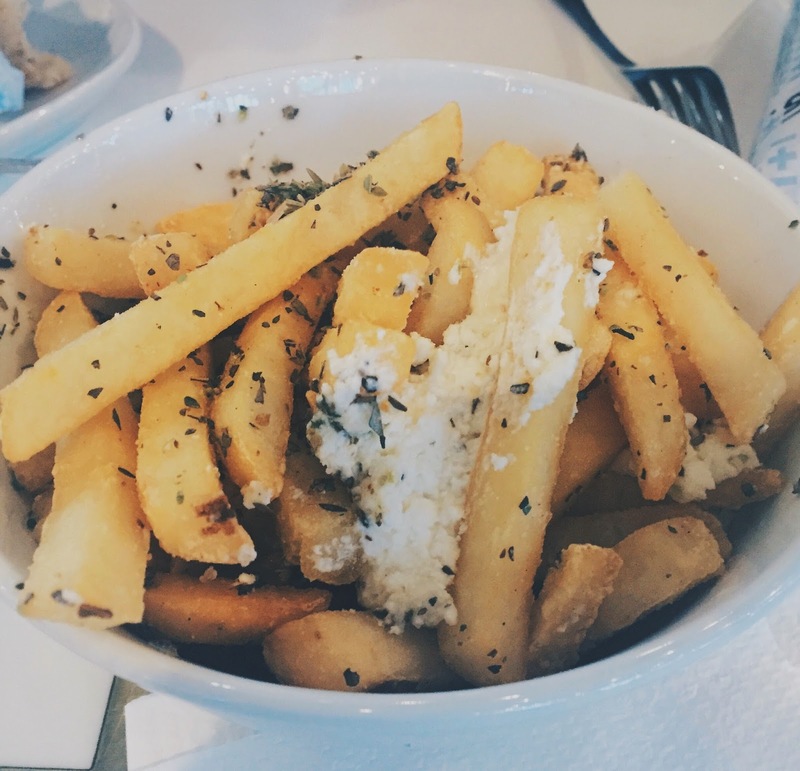 But yeh, high expectations don’t work in your favour sometimes, so just take a step back, and enjoy some of that perfectly golden chips, ignore what the doctor says about high cholesterol , chips with feta everyday will keep them at bay. Jimmy Grant is located in the Cafe Court in Emporium, level 3.